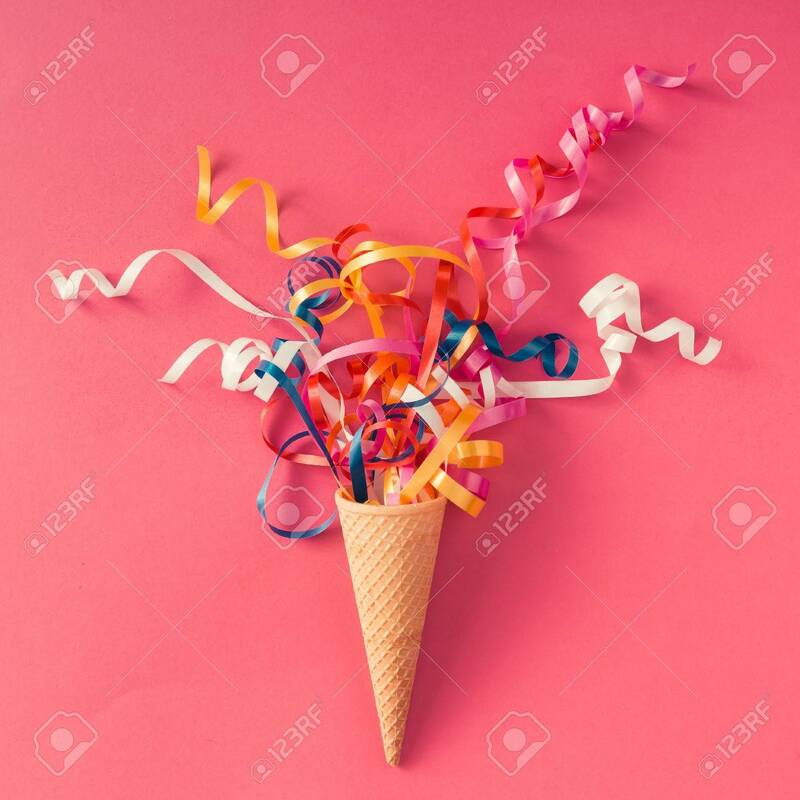 Ice Cream Cone With Colorful Party Streamers On Pink Background. Flat Lay Banco De Imagens Royalty Free, Ilustrações, Imagens E Banco De Imagens.. Image 71523109.